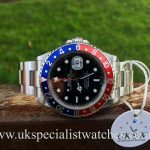 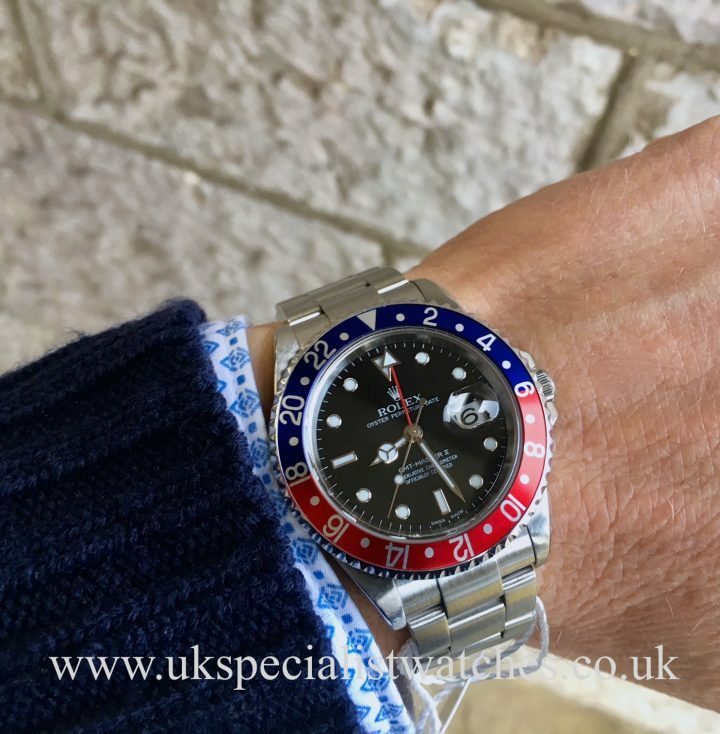 Rolex GMT Master II 16710. 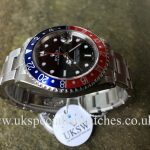 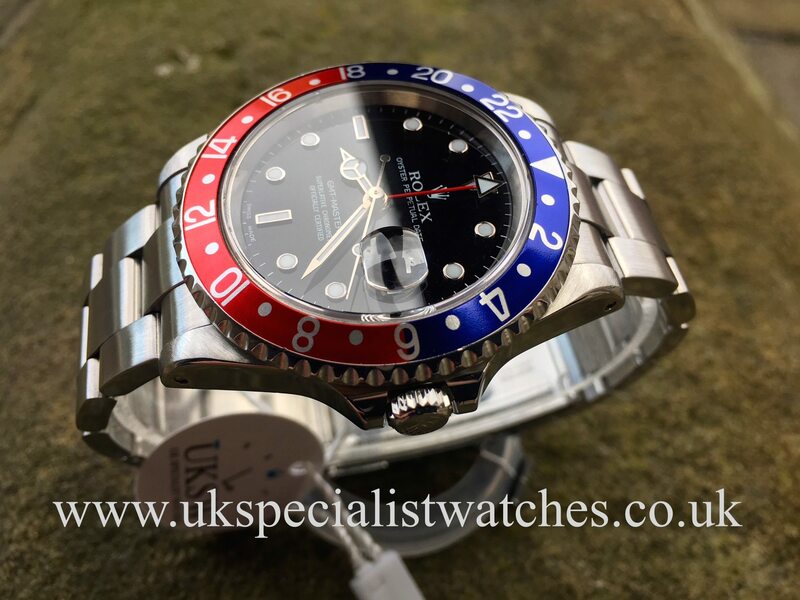 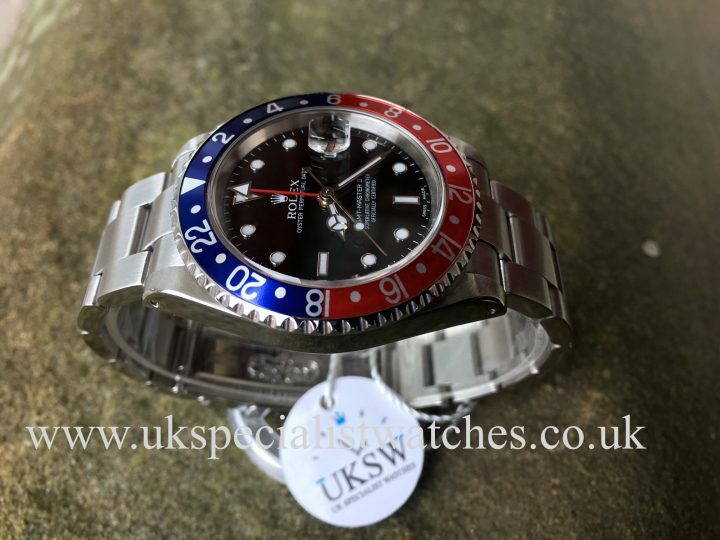 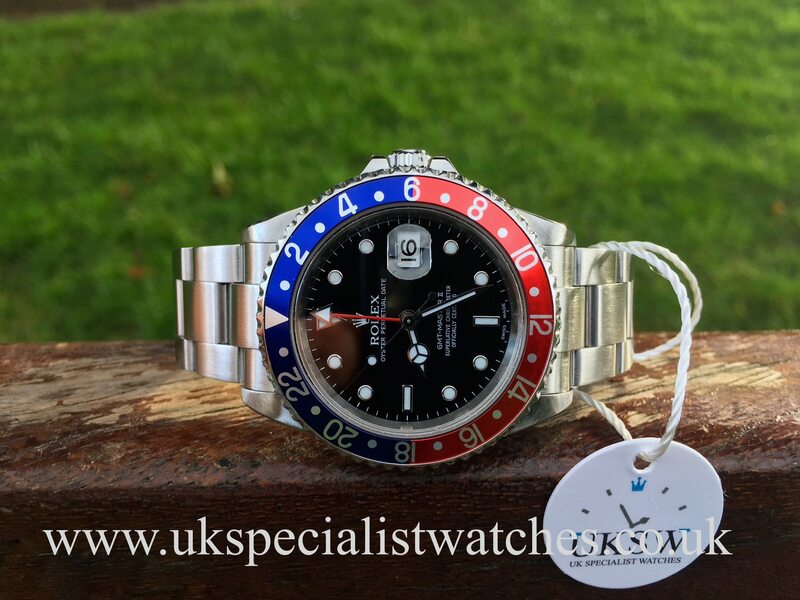 40mm polished stainless steel case, red & blue Pepsi bezel. 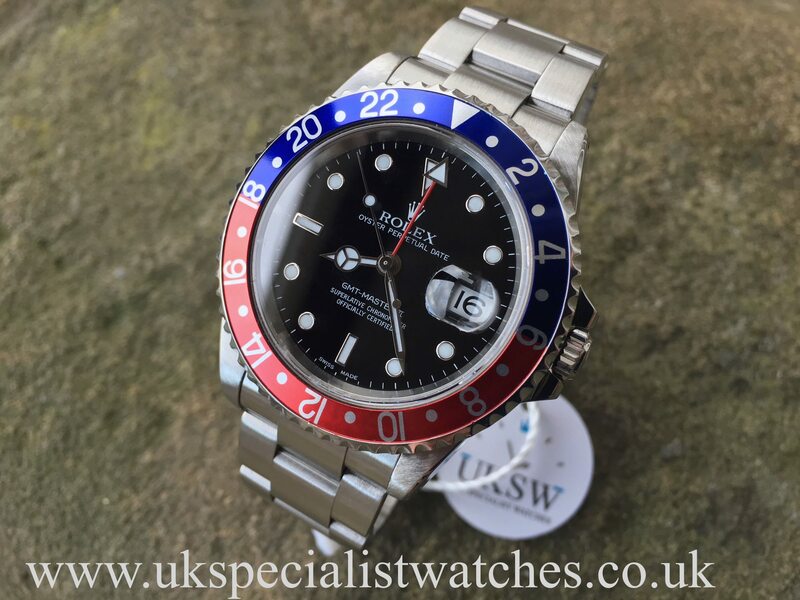 Original black gloss dial with luminous hands and hour markers, Red GMT hand and sapphire crystal glass. 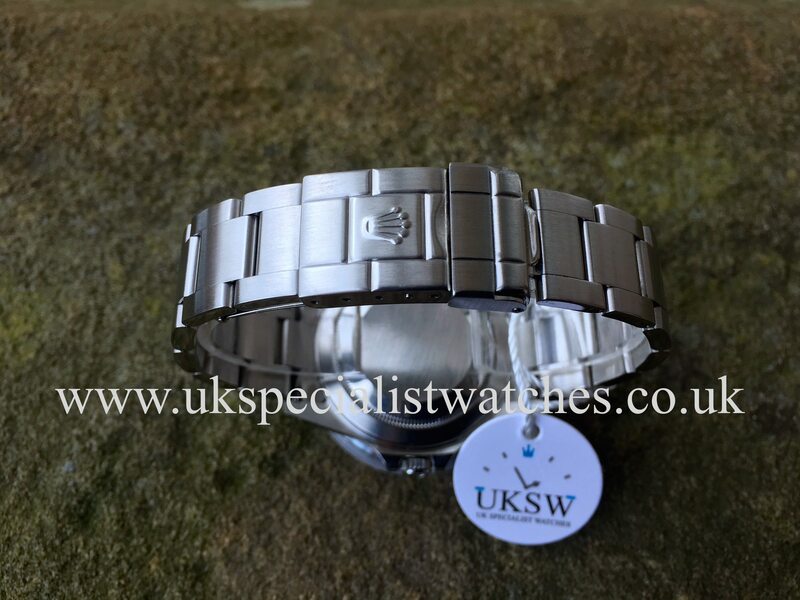 Fitted to a brushed stainless steel oyster bracelet and double folding clasp with the crown still raised proving minimal polishing. 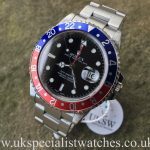 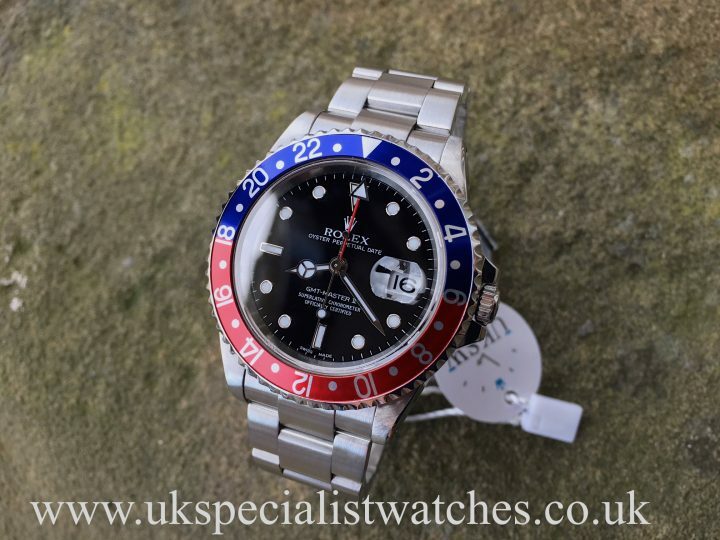 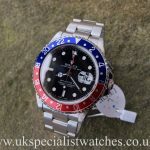 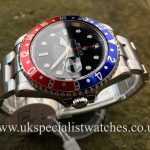 The discontinued GMT-Master 16710 pepsi is one of the fastest appreciating model’s! 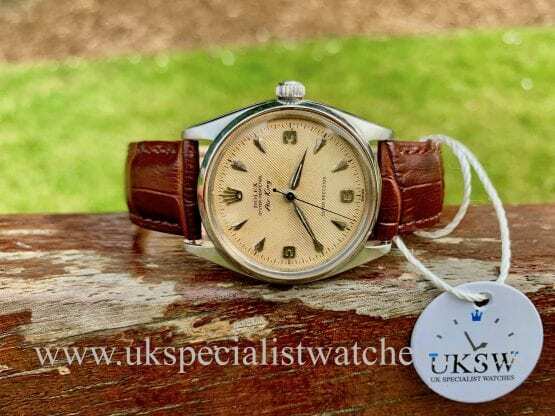 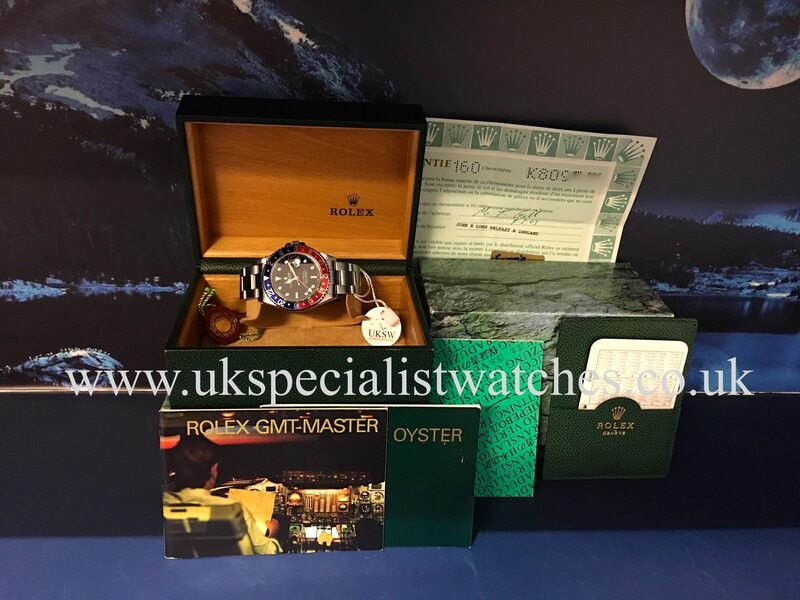 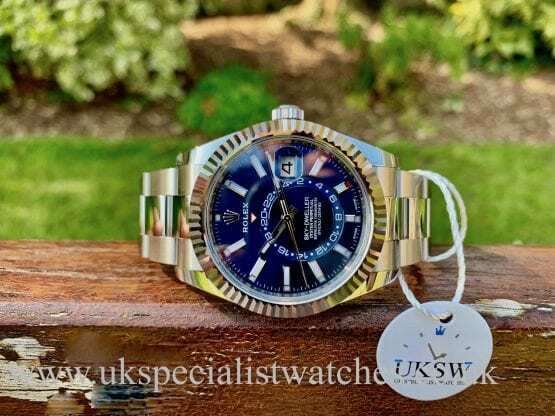 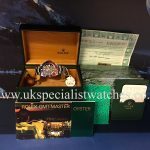 Our beautiful UK Supplied example comes complete with all original boxes, stamped guarantee certificate, swing tag, leather wallet, instruction booklet, translation booklet. 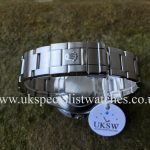 UK Supplied new in 2003.